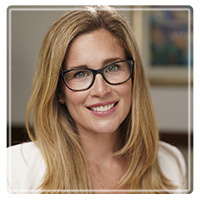 Miami Therapist: Kristin Jones - Therapist 33129. Helping people to live more balanced and healthy lives is my passion. I truly believe that personal struggles, when worked through therapeutically, can be a great facilitator in one's journey towards inner peace, strength, and fulfillment. My approach to therapy is excellent for people interested in finding ways to reduce suffering while improving their overall happiness and quality of life. My educational background includes a Doctorate in Health Science and a Masters Degree in Mental Health Counseling from Nova Southeastern University, and a Bachelor's Degree in Psychology from the University of North Carolina at Wilmington. I am intensively trained in Dialectical Behavioral Therapy (DBT) and is the director of the Dialectical Behavioral Therapy program at The Counseling Group. Specializations include the treatment of eating disorders, borderline personality disorder, trauma, and anxiety disorders. In addition to DBT, I have extensive training in Radically-Open DBT, DBT-Prolonged Exposure for post-traumatic stress disorder, Acceptance and Commitment Therapy, and Mindfulness. Mind/Body development is another specialty of mine. I have been teaching yoga and meditation since 2003. Yoga and meditation are about learning to control modifications of the mind while becoming more integrated in mind, body, and soul. When appropriate or requested by clients, I utilize yoga postures and meditation during sessions for issues such as life stress, anxiety, body image issues, improving attention span and concentration, development of greater mind and body awareness and balance, and to use as a healthy coping mechanism to deal with difficult emotions.